Select the tournament software product category to view products that can be downloaded. This is the primary installer for the BTM-2019 Standard, Pro and A/S bowling tournament manager software. If you purchased BTM-2019, use this installer for Standard, Pro and A/S editions. 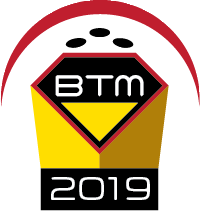 This installer also updates existing installations of BTM-2019 to the current release of BTM-2019. If you purchased BTM-2019 or wish to try a demo of BTM-2019, use this installer. This installer also updates existing installations of BTM-2019 to the current release of BTM-2019. Note: While installation and operation may work with Windows Vista, Windows XP SP3 or Windows Server 2003, this operation is no longer supported by Microsoft or officially supported/tested by CDE. This is the primary installer for the BTM-2015 Standard, Pro and A/S bowling tournament manager software. If you purchased BTM-2015, use this installer for Standard, Pro and A/S editions. This installer also updates existing installations of BTM-2015 to the current release of BTM-2015. If you purchased BTM-2015 or wish to try a demo of BTM-2015, use this installer. This installer also updates existing installations of BTM-2015 to the current release of BTM-2015. Operating Systems Supported: Windows 8.1, Windows 7, Windows Vista, Windows 2016 Server, Windows 2012 Server and Windows 2008 Server w/ Service Pack 2 Update. Supports 32 bit and 64 bit versions of these operating systems.